How awesome would it be to get the lowest guaranteed rate on great Branson lodging? The Dutton Inn is one of the great Branson resorts and available under Branson Tourism’s Lowest Rate Lock Guarantee. “Branson offers a wide choice of lodging. Finding just the right place for your family to stay won’t be a problem,” said Preston Garrison, Director of Operations for the Branson Tourism Center. 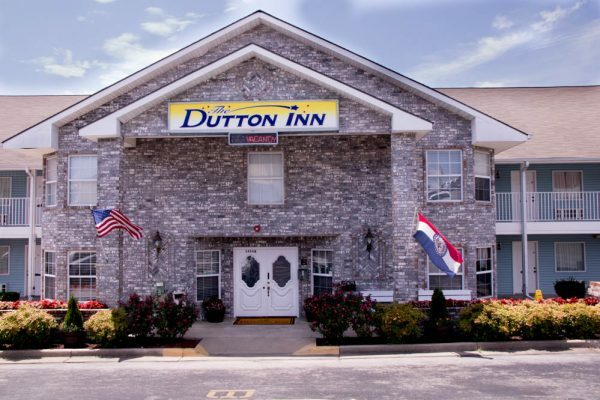 “From a quaint family owned inn, like the Dutton Inn, to a beautiful full-service resort, such as the Welk Resort, Branson has the ideal lodging for just about every need and budget,” he adds. Garrison points out that finding the ideal lodging in Branson, at a price within your budget, might be easy. Finding the lowest price on a given lodging establishment for specific dates not as easy, unless, of course, you use Branson Tourism Center’s Lowest Rate Lock Guarantee Program. It that case, it’s as easy as making one phone call to 1-800-785-1550. Simply select one of the awesome participating Branson hotels, indicated by the “Lowest Rate Lock” icon to the right of their name in the list, book your reservation through BTC, and subject to the programs minimal conditions, the price you pay for your lodging is guaranteed to be the lowest rate available. If you find a lower price offered for the same room on the same dates anytime between when you book your room and when you arrive in Branson, BTC will match the lower rate. There are national Internet companies that claim to offer the lowest rate on Branson hotels and lodging. “Small print” conditions aside, how many of them offer free phone support to help make the reservation? Are they in Branson to help if there is a problem with your lodging? The Branson Tourism Center is one of Branson’s largest and most respected providers of tourism services. It’s in Branson, has a BBB A+ accredited rating, and is the honored Recipient of the 2017 Better Business Bureau’s “Torch Award for Marketplace Ethics” for Southwest Missouri. BTC has sold over 5 million Branson show and attraction tickets and part of their success comes from the efforts of 100 employees dedicating themselves to marketing all that Branson offers and making sure that every customer has a great Branson experience. Branson Tourism Center’s Garrison says that the one phone call to 1-800-785-1550 will put you in contact with one of Branson Tourism Center’s Branson based Vacation Specialists. Not only can they help with information on the Lowest Rate Lock Guarantee Program they can also help with making show, attraction, or lodging reservations. This ensures getting the best available show seats and lodging. One call takes care of it all! There is no charge for this service and they are available daily, except Christmas Day, from 8:00 AM to 9.30 PM. This entry was posted in Branson Lodging, Featured on June 5, 2017 by Gary Groman.